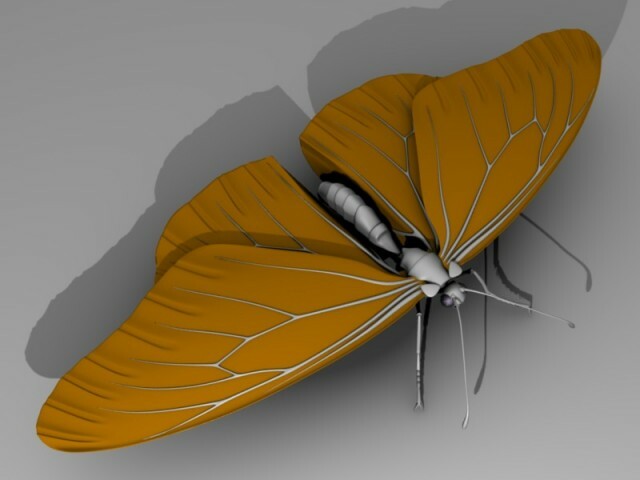 Here is a top view of the butterfly wing geometry. You can see the veins and corrugations which strengthen the wings, provide circulation, and create the patterns of color. The veins run in the center of the dark lines, and the corrugations mark the centers of the light spots.